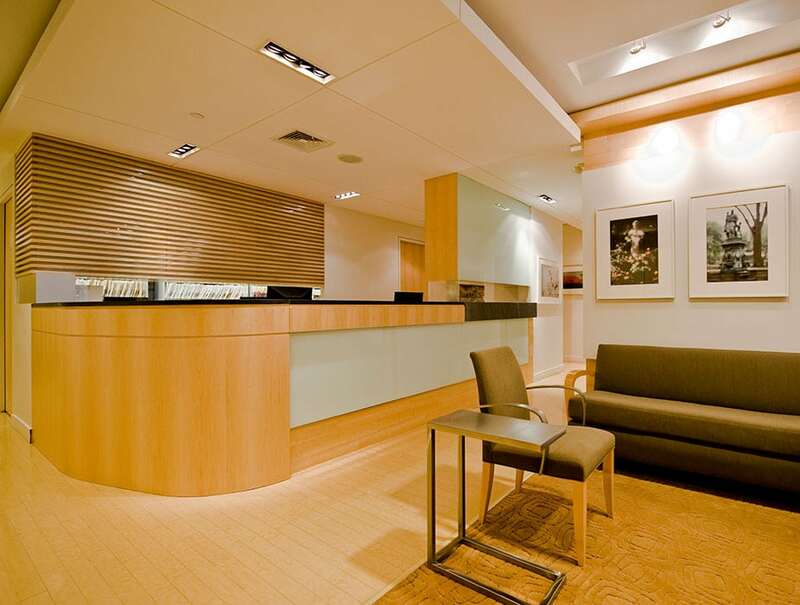 This is a sleek, contemporary interpretation of a functional doctor’s office. 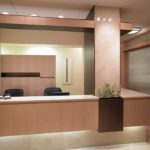 Manhattan office space can often be a challenge to layout, but this design utilized every inch in order to get the most functionality out of it. However, the goal was not function over form but the marriage of both, that the client wanted to achieve. 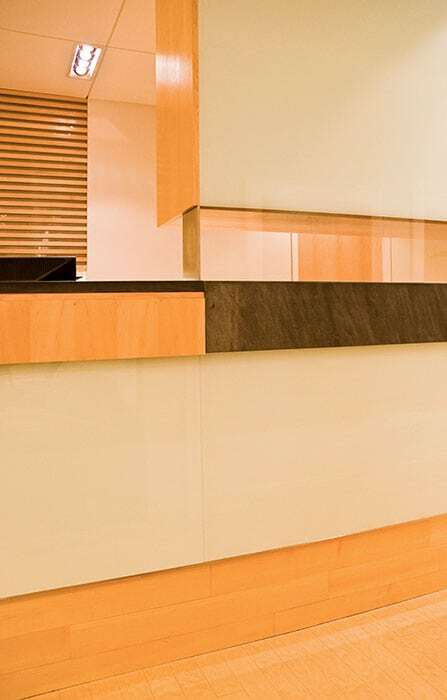 This purpose pushed the architect to truly design every surface and façade, paying great attention to detail. It is in the details that you find the most beauty in the space. 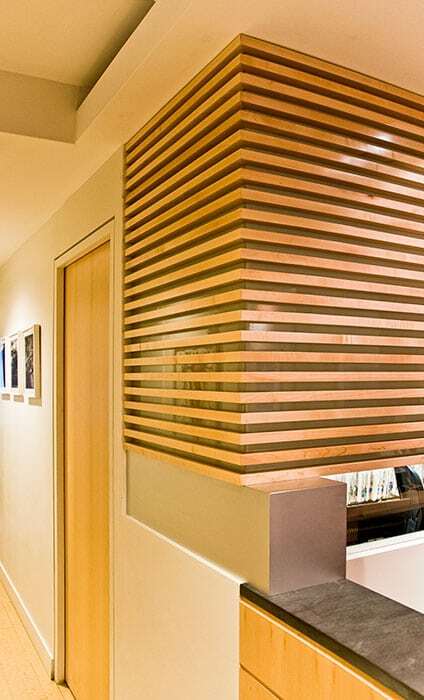 Punctuated door frames, wall layering, great expanses of glass, wood louvers, a floating ceiling and inlaid floor are just some of the accents to take note of. 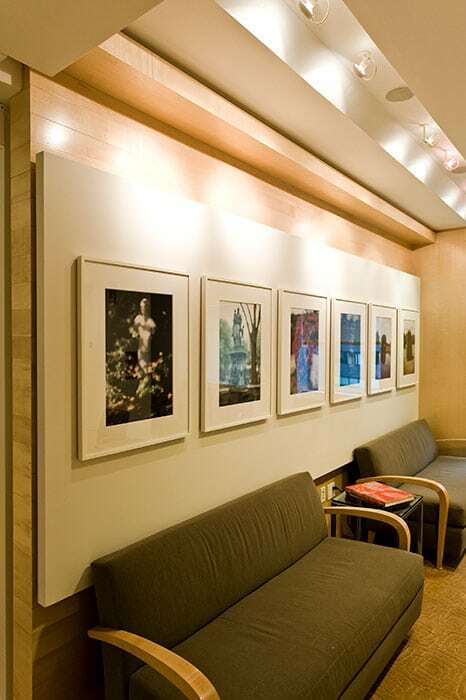 Particular attention was paid to creating display walls for the clients’ extensive art collection. 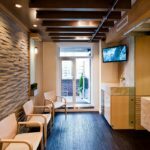 Ostensibly an upscale practice, the design speaks clearly to the success of the inhabitants.